There's a lot leading up to the moment of giving someone a gift. The wrapping, the secrecy and before all of that can even happen, there's deciding what to get someone in the first place. This crucial but frustrating step can derail your gift giving before you even start. But don't fret! 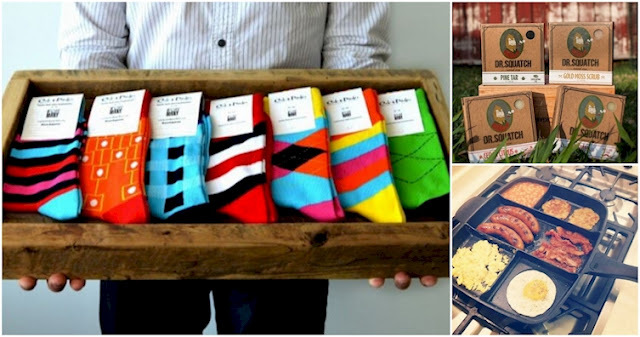 If you're stuck on what to get your guy ('cause, come on—gift cards are not gonna cut it), then this handy guide contains awesome gifts that he'll ACTUALLY use. So go ahead and get inspired, then get ready for all the warm and fuzzy goodness that comes with finding the perfect gift. Every gentleman needs a distinguished pair of socks, and for ones that make a bold statement, Cole + Parker is the way to go. 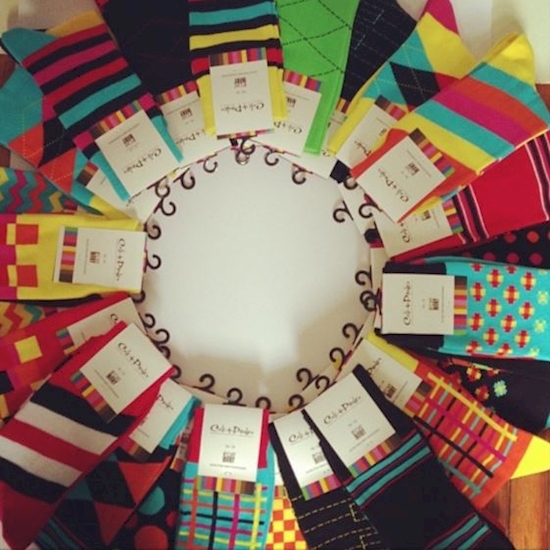 Their colorful and unique socks are sure to step up your man's style. Picture this: cooking all your favorite foods in ONE pan. 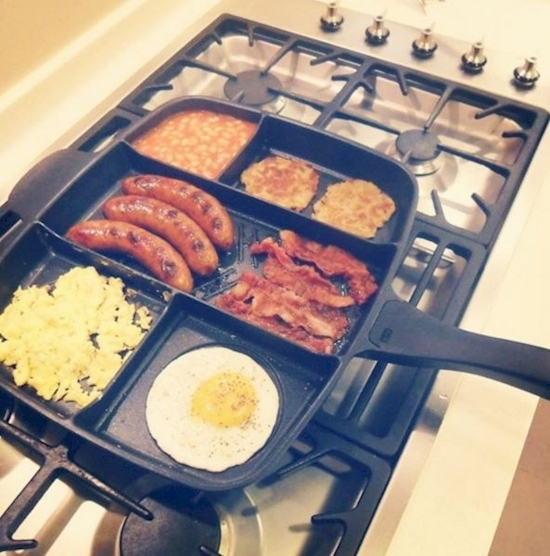 I'm talking eggs, bacon, grits and toast here—all the essentials are covered in the MasterPan. Plus, one pan = fewer dishes, which makes everyone happy, right? You want your guy to smell freshy-fresh, but harsh chemicals that dry out his skin are a no-no. Thankfully,Dr. Squatch's line of all natural, handmade soaps and body care products will maintain that manly smell with scents like Gold Moss and Spearmint Basil. 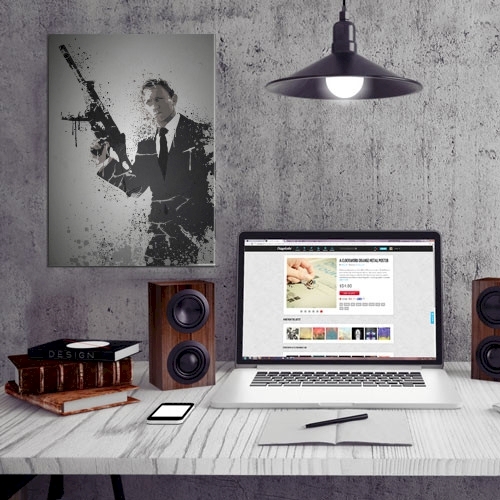 Displate creates unique metal art of pop culture icons to spruce up any man cave. This is a great gift for any guy who binges on Netflix regularly. 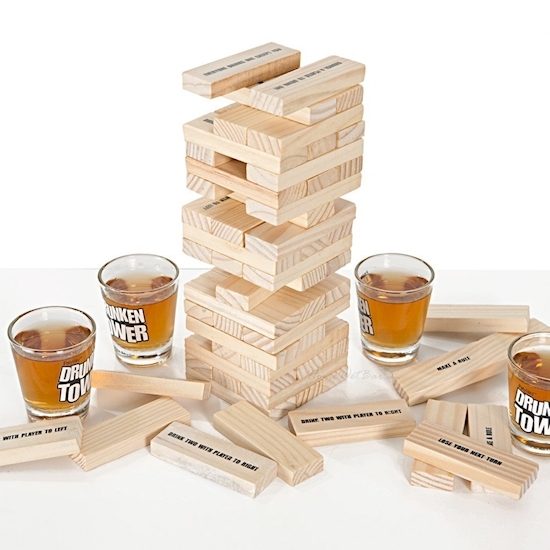 What's better than sipping on an ice-cold brewski? How about sipping on one that you brewed yourself. 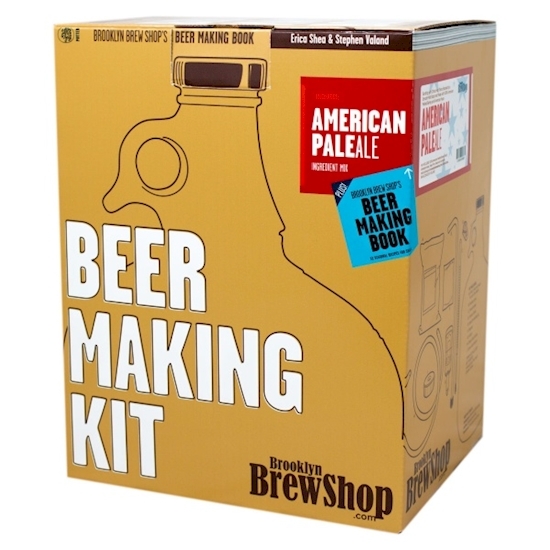 I don't know if pride is a flavor, but my guess is you'll be able to taste it when you use this home brew kit from the Brooklyn Brew Shop. 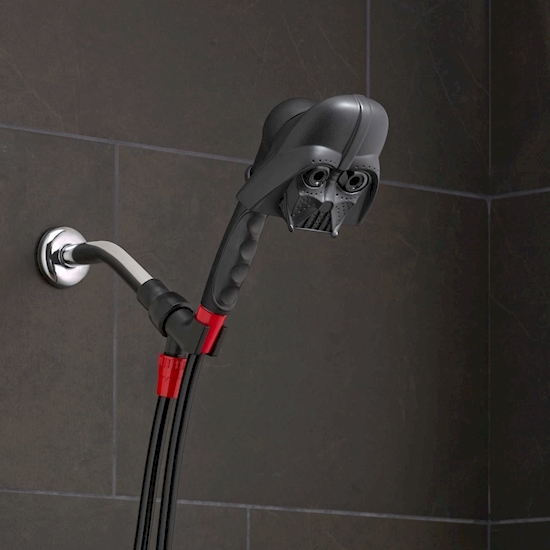 Take your shower to the dark side with this Vader-inspired showerhead. 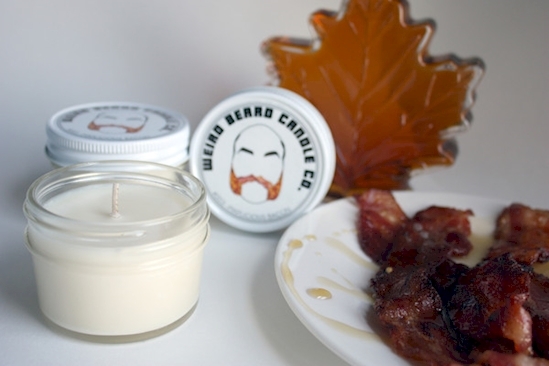 The Weird Beard Candle Co. makes candles in a variety of unique scents, but this maple bacon one should satisfy your guy. Forgot to defrost some meat for dinner? No problem. 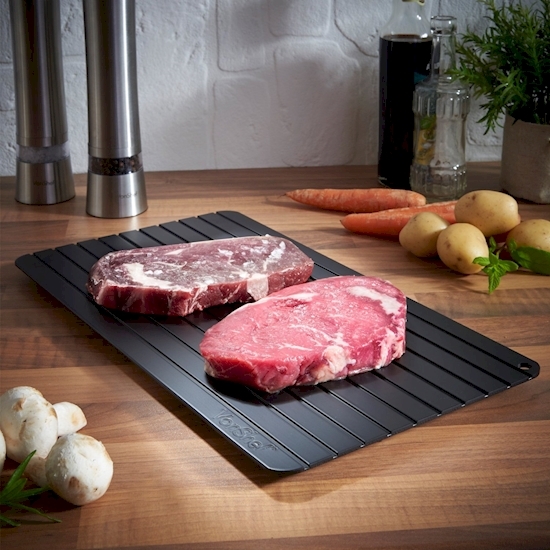 This handy little kitchen tool safely defrosts meat in about an hour. No electricity or heat required. It's magic! (Actually, it's science, but still amazing). 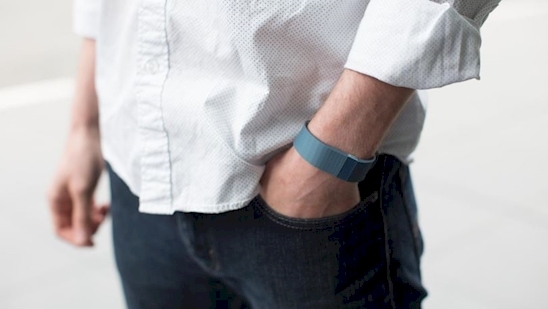 Keep track of your steps, calories and basically your whole life with the Fitbit. Who knew one wristband could do so much?